The Nissan GT-R used to be the off-the-line king and now a Porsche Cayman-fighter is giving it lessons. What happened? 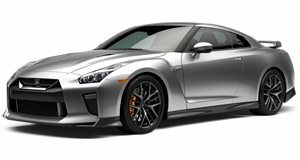 The nice thing about placing game-changing supercar technology behind the badge of an automaker that likes to reveal replacement models at a glacial pace is that the cars that fit this description, the Nissan GT-R in this case, can be used to prove a few points. Almost nobody questions the GT-R’s ability to lay waste to cars costing twice as much, even after its seen its price balloon to new heights, but can it keep its lead nearly a decade later? That’s what Top Gear sets out to discover. Its competition, the new Audi TT RS, might seem a bit underwhelming compared to the big bruising GT-R and its sophisticated launch control, but it still allows TG to either prove that the GT-R can fend off any competition or show how far new “entry-level” sports cars have come. 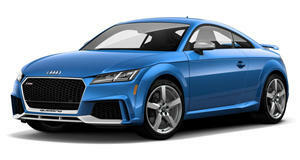 Unfortunately for the TT RS, Top Gear uses a drag race as the deciding factor, a race typically dominated by the all-wheel drive Nissan and its 562 horsepower muscle. On the other hand, the TT RS gets a spritely 400 horsepower from a turbocharged inline-five engine, which also sends its power yield to all four tires, but its engineer’s pursuit of weight saving was so rampant that it turns up to the race and shows the GT-R a thing or two about how to properly launch. So yes, the GT-R still comes out the victor here, but not without looking like a fool at the start of the race.